Eleven-year-old Gregory cannot go near the road where his Dad died in a car accident. When it is announced that his school will be closing and everyone will have to go by bus to a new school, he panics – the bus stop is right where the accident happened. With help from his friends, he bravely overcomes his fears. This book is wonderful and exciting. It makes always you want to keep reading. I love all of the characters too. They each have their own interesting personality’s. Over all I think its a great book. 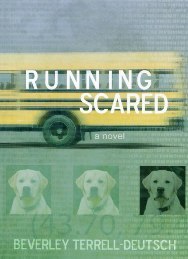 This is a great book about determination and facing fears. The characters have strong, forceful personality’s. I really loved this book overall. I like this book and this book is kinda sad because his dad dies because of a car accident. Please do not rouen the book for others! I for one have already read the book. I love this book because the boy overcomes his fears.